This type of form can also be used internally within companies in the event that certain authoritative figures would need something like ordering specific products or have certain services done that would benefit the business. So once you’ve either obtained or made an order form, all you have to do is place all the required information to ensure that you get what you want and need. Firstly, open up the Microsoft Word program. You must then use the Windows’ Start button and select the “All Programs” option. Then select “Microsoft Word” from the “Microsoft Office” folder. Next you must click the Microsoft Office button that should be located on the upper left corner. Select the “New” option and it should launch a separate “New Document” pop-up menu on your screen. At the top of the new document window you must type in “order form” in the search field and click on the “search” arrow. Thumbnails will then be generated in the search results that should show you pre-formatted order forms. You can then get a larger view any of these by clicking on them and seeing a preview on the pane to the right of the screen. Under the form preview, you can see the “Download” option should you finalize which order form you would like to use. The order form template will then appear as a new document within Word. This is the part where you may then edit the order form to suit whatever you need. In order for you to edit the text, all you have to do is highlight and then type over it. Once you are satisfied with everything that you need to place in the order form, click on the Office button and select “Save As.” Then type the name of the document in the “File Name” field. Click on the down arrow to the right of the “Save as Type” field so that you may select the type of document you want. In the event that you would like to save this template so that you can use it in the future, you can select the “Template” option. If you would like to use the original version of this template again, then you don’t need to worry as there’s already a copy that’s automatically saved in the “My Templates” Folder where you can choose to use it again at any point in time. Job Order Form. This is the type of form that’s made use by just about every person who’s in need of some sort of service done. With a job order form, it specifies what kind of job needs to be done, where it should be done, how it should be done, and more. This kind of form can also be used internally by just about any kind of business when certain problems arise or when there’s an important need for specific type of job done that could enhance operations. Purchase Order Form. 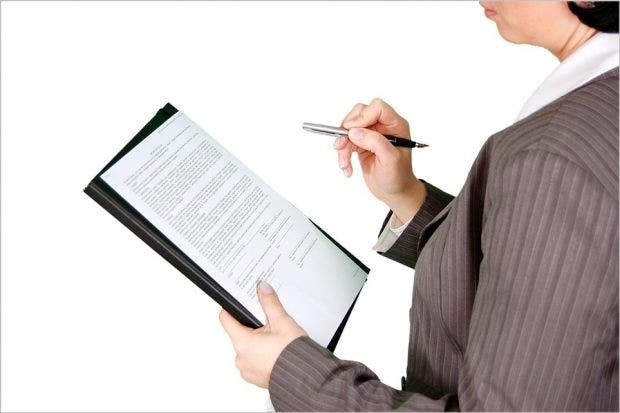 A purchase order form is what’s issued by a buyer to a seller. What the buyer can specify in this form is the type of product or service that seller should provide, the quantity, and the agreed price for whatever product or service the buyer would want. This kind of form is mostly used by companies for when they have to control the purchasing of products and services from any external suppliers. Event Order Form. With help of an event order form, those who organize events may outline the details of the kind of event that they would like to have. This can act as a sort of guideline for those who are required to provide whatever is necessary for any kind of event. So things such as the amount of tables and chairs needed, the decorations, and the location of the event are all specified within this form. Product Order Form. This is a form that’s specifically used by anyone who wishes to purchase certain products from a business that can supply them. A product order form allows one to specify what kind of product he or she needs along with its quantity. This is similar to purchase order forms, but this kind of document can only be used to purchase or request products and nothing else. Businesses can also use this in the event that they would like to have their suppliers provide them with what they need in order to continue their operations. Repair Order Form. This is a form that one utilizes in the event that he or she has certain maintenance problems that need to be looked into as soon as possible. The repair order form allows people to specify the type of repair that they would like done, giving the repair service provider an idea as to what type of materials to use, the amount of time it would take, as well as the payment that the buyer will have to compensate for everything. Much like job order forms, those with authority within the business can make use of this type of form to order their maintenance department in the event that certain equipment or facilities need to be fixed.